I'm both a coffee and tea drinker. I started drinking coffee regularly when I was in college. 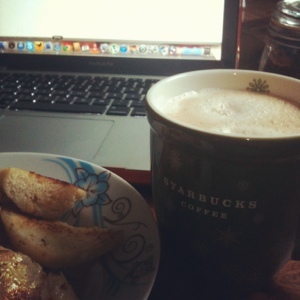 When you're doing your thesis and having early classes, coffee was my savior and best friend to keep me awake. Nowadays, I need coffee as my start-me up in the morning. A cup a day keeps me sane. Sometimes I like it hot, sometimes I want it with ice! It depends also on what my breakfast is. The BOS and I like freshly brewed coffee! After having a taste of brewed, I never want to drink instant coffee again! Hehe.. I still have instant coffee pag wala na talagang choice! 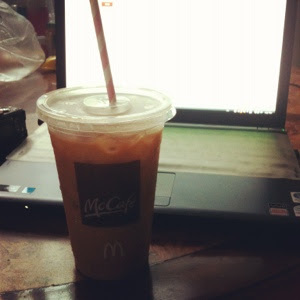 Recently, I like having McDo's Iced Coffee. A great and cheaper alternative to my Starbucks Iced Macchiato. 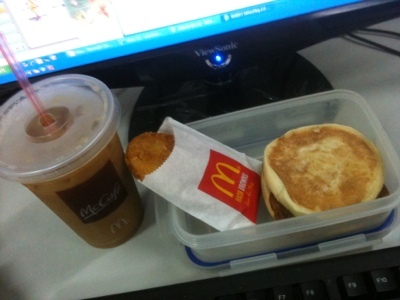 Having breakfast at the office. Meanwhile, I'm also a fan of teas, milk teas in particular! 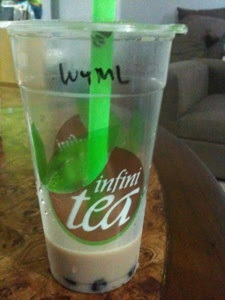 My dad introduced us to milk tea during one trip to Hong Kong I was younger and we got hooked ever since! 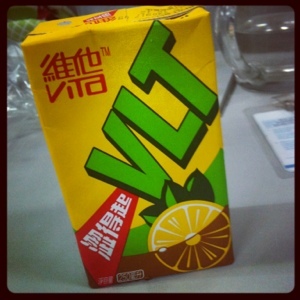 With the milk tea craze going on, I like to try every brand there is! 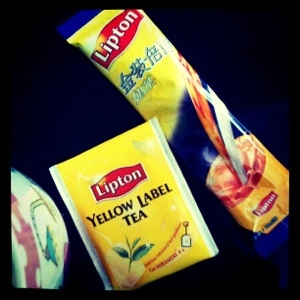 So far, my favorites are Happy Lemon and Serenitea! 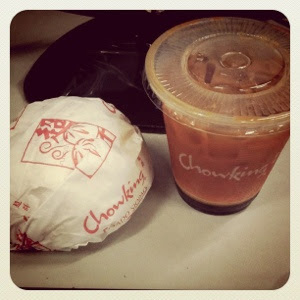 One of my favorite meriendas: Chowking's Asado Siopao and Naicha! I buy Chowking's Naicha when I'm on tipid mode! Hehe.. and for when I like to be healthy, I drink Mother's Milk Tea to boost my milk supply (don't really know if it's effective though!). My dainty tea set! Can you believe the set is just Php39 only??? How about you? Coffee or tea? 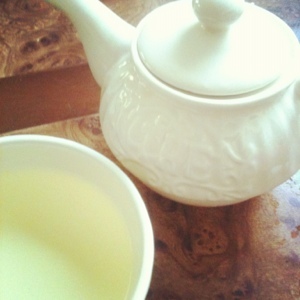 Tea forever! :) Hehe, I'm such a loser when it comes to coffee's caffeine. I can't handle even the slightest dose -- I stay awake until the wee hours of the morning when I drink coffee. Thai iced tea and Mine Shine (bottled milk tea at 7-11 for only P42!) are my favorites. Haha! I'm glad I don't palpitate when I drink coffee! I used to like Mine Shine but now hindi na. Ooohh I like Thai Iced Tea too!! !